UK PM Theresa May to give Trump a quaich: What is it, and why? LONDON — What kind of gift do you get for a man who divides his time between the White House and a gold-plated skyscraper? 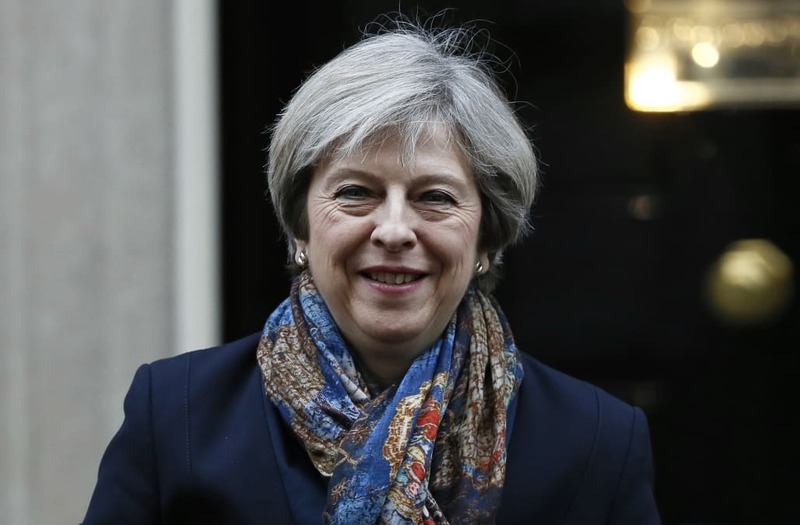 That was the question facing British Prime Minister Theresa May ahead of her visit this week to the U.S., where she will become the first world leader to meet with President Donald Trump since he took office. Here's what the British came up with: a quaich. For those who may not be up on their ancient Scottish drinking vessels, a quaich (pronounced "quake,"). It is a two-handed vessel— some types of which are also known as "loving cups" — that originated in the Scottish highlands, where clan chiefs prized them as tokens of hospitality. "They have been used across Scotland for centuries as a cup of friendship," May's office said in a press release. "Today it is rarely used as a drinking vessel, but rather it is a symbol of welcome and kinship. Its two handles signify trust, both on the part of the giver and the receiver." The gift could well be a nod to the president's Scottish ancestry on his mother's side. Gift-giving between British and American leaders has been something of a political minefield in recent years. In 2001, Prime Minister Tony Blair gave President George W. Bush a bust of World War II leader Winston Churchill. But President Obama removed it from the oval office, replacing it with one of Martin Luther King Jr. The removal sparked outrage in Britain's tabloid press and prompted then-London Mayor (and now Foreign Secretary) Boris Johnson to decry what he claimed was an "ancestral dislike of the British empire" on the part of the "part-Kenyan" president. Likewise, Britain felt snubbed in 2009, when Prime Minister Gordon Brown gave Obama a wooden pen holder made from the timbers of a Victorian anti-slave ship. In return, Obama gave Brown 25 DVDs of classic American movies. May's gift to Trump can be seen as an attempt to highlight both his personal ties to Britain as well as the long-standing alliance between the two countries. The Prime Minister has an economic motive to emphasize the positive aspects of Britain's relationship with the U.S.
Last week, May outlined her vision for Britain's departure from the European Union, which, to the dismay of many business groups, included withdrawal from the bloc's single market and customs union. That will make the health of the British economy contingent on the ability of May's government to secure free-trade deals with other nations — in particular the U.S., which is the largest single-country export destination for Britain, accounting for over 15 percent of the country's exports, according to Britain's Revenue and Customs department. Related: Will Trump, Theresa May Revive 'Special Relationship' at Meeting? British lawmakers, and May herself, were also highly critical of some of Trump's rhetoric and behavior as a candidate. In January 2016, British lawmakers debated banning Trump from entering the country in response to a public petition that garnered enough support to trigger a parliamentary response. During the debate, lawmakers brand Trump a "fool," a "demagogue" and a "wazzock" — British slang for an irritating person. In addition, May told a British TV host that she found Trump's comments, in which he bragged about sexually groping women, "unacceptable." But for Britain at the moment, economic issues take precedence. During her visit, which begins Thursday, May will address the annual Republican congressional retreat being held in Philadelphia. She will stress the importance of renewing the alliance between the U.S. and Britain, visit Arlington National Cemetery and then meet with Trump in the White House on Friday. Whether the prime minister's gift of a quaich wins Trump's favor remains to be seen, but it could be a bumpy road. After all, when you're giving a vessel traditionally used to serve alcohol to a teetotal president, what could possibly go wrong? U.K. government loses Brexit court fight — what does it mean?